Go ahead and add another tally in the victory column for UNC Greensboro men’s basketball. 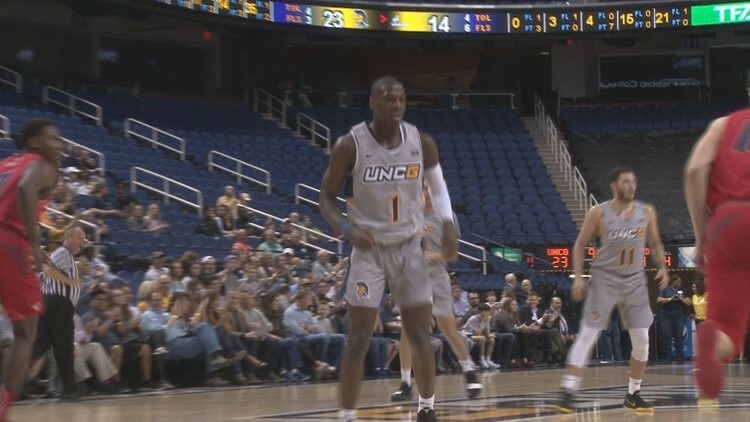 CHATTANOOGA, Tenn. — On Saturday night in front of a passionate crowd in McKenzie Arena, where Chattanooga was hosting both a blackout game and a reunion weekend for alumni, the Spartans downed the Mocs 78-63. With the victory, UNCG is now 22-3 on the season and has upped its record in the Southern Conference to 11-1. Additionally, the current eight-game winning streak is the longest this season, surpassing a seven-game stretch from Dec. 7-Jan. 5.